Before deciding on the flowers you wish to use for your bouquet, you should first figure out your budget. Many popular wedding flowers, including peonies, lilies, orchids and gardenias, are very expensive. On the other hand, stock roses, carnations, hydrangeas, chrysanthemums, irises and dahlias are all a little bit cheaper. Filler flowers and greenery, like daisy spray, dogwood, forsythia and baby's breath help fill out arrangements, so they're a good way to cut down on flower costs. Remember that flower costs are also highly dependent on where you live and what's in season – opt for seasonal blooms to get the most bang for your buck. 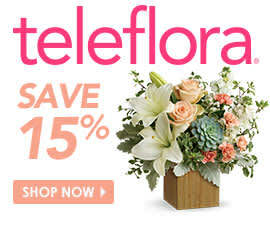 Once you've chosen the flowers you want to use, order them online or from a local florist. Make sure they aren't delivered until the day before your wedding, unless you feel comfortable properly preserving them. If you get your flowers too early, you may find yourself with a wilting bouquet on the big day! To make your bouquet, you'll of course need the flowers, filler and greenery you're using. You should also make sure you have floral tape, scissors and something to use as your bouquet wrap – more on that later. Once you have everything gathered, it's time to start prepping your flowers. If you're using roses, trip all of the thorns from their stems. For any flowers, the stems should be completely free of leaves. If all of your flowers are prepped, you can begin to make your arrangement! Start with a cluster of three or four of your main flowers, wrapping them in a bit of floral tape as your foundation. Then continue adding more flowers as well as filler and greenery here and there to fill out your arrangement. Continue wrapping the bouquet in floral tape after adding new additions so that the bouquet stays perfectly in place. While putting together your arrangement, keep in mind that the end product should be proportional to your body – oversized bouquets can look slightly odd, which can throw off your wedding photos. To ensure your bouquet is the perfect size, experiment with it in front of the mirror. Hold it in front of you and try to envision it in relation to your dress – if your gown has a fuller skirt, you may be able to get away with a larger arrangement. Once your bouquet is exactly the way you want it, it's time to create the wrap. Most brides choose simple satin ribbon in one of their wedding colors to wrap the stems, but feel free to get creative. Use burlap if you're having a country-rustic wedding or a strand of pearls for a more vintage look. If you're using ribbon, bouquet pins should be enough to keep it in place. For bulkier wraps, use hot glue. When you're done, keep your bouquet in a cool, dark environment and spritz it with water every so often – it will look perfect for your walk down the aisle! When You Can’t Give Hugs & Kisses, Give Flowers!